I am so excited with the recipe I am sharing with you today. 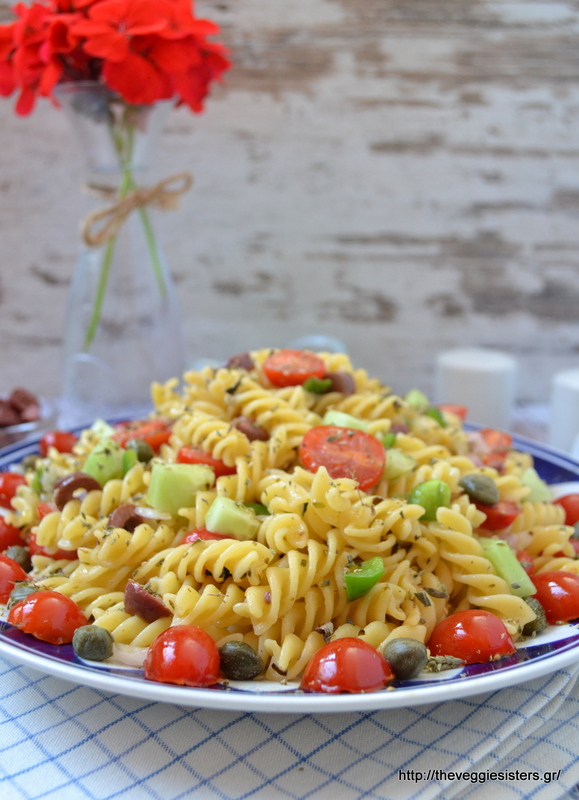 It is about the happy marriage of greek salad and pasta! This is a winning combo, my friends! Greek salad is known and loved around the world. It is made with tomatoes, onions, green peppers, olives, capers and feta (I skipped the cheese and made a feta-less version). Good quality olive oil and dried oregano are very important ingredients as well. 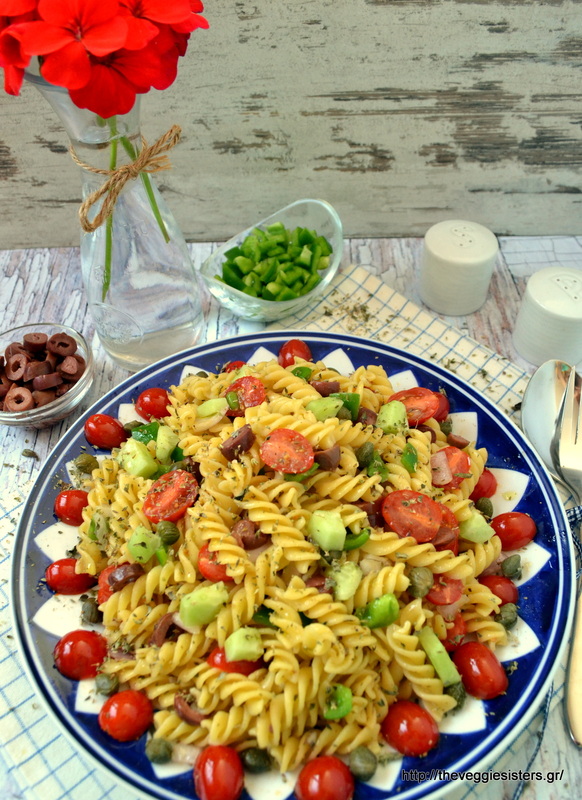 I have used all these ingredients in this fusili salad and made a refreshing, filling dish that bursts with flavours. I deal for a picnic or to take at work I highly recommend you try it! It keeps well in the fridge for days. Cook pasta according to package instructions. In a bowl combine tomatoes, onion, pepper, cucumber, olives and caper. When pasta is cooked, drain and put it back in the pot. Pour olive oil and stir. Allow to cool for 2 minutes. Then empty the veggie bowl into the pasta and mix all the ingredients. Season with salt and pepper. Sprinkle with oregano. Enjoy! 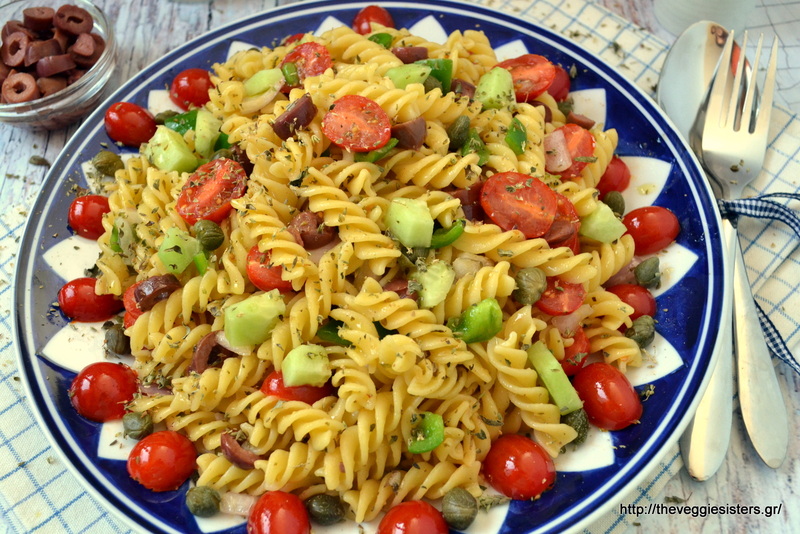 Share the post "Greek pasta salad"